Exclusive cardboard packaging in black. The inside of the box is filled with profiled black foam. 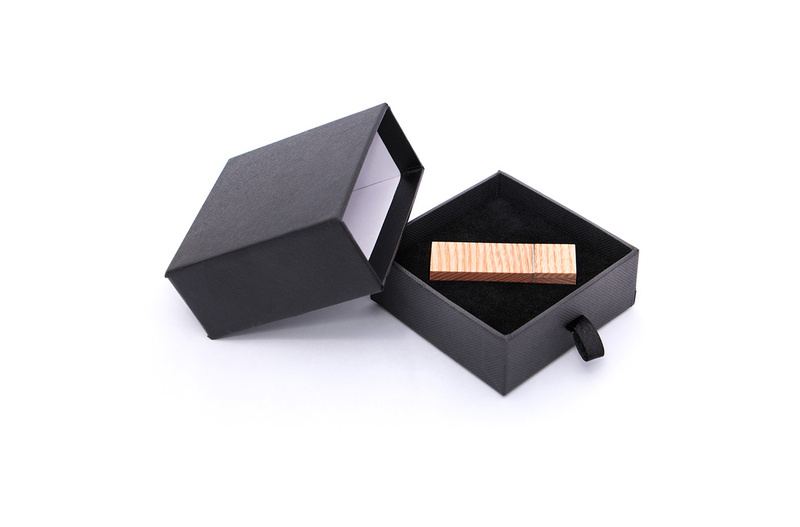 The packaging is available only with selected wooden pendrives.